The interior of a home could greatly affect the way we work and move around the house. Of course, it can also affect the way we feel too in terms of being comfortable in our own home. That is why each home is decorated in different manners because of the varying personalities of those who live in it. We have seen this variation here on Home Design Lover. But we can’t get enough of it. As a matter of fact, we are going to show you a house that has a pretty interior. What we will feature today is the Greenwich Street Townhouse. 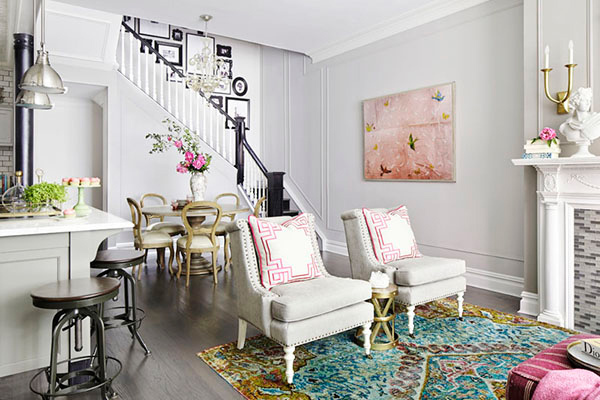 It is a traditional home that offers fresh interiors located in the West Village of Manhattan, New York. When you take a look at its interiors, you can notice its eclectic mix and varying styles in the spaces. But I like the variation too because it doesn’t make the space appear monotonous and boring. This decade old town home got color infused but is calming and fresh with the detail and nuance of a rarified turn of the century townhouse. Come take a look at the home’s interior below. The purple sofa set nailed it. It looks pretty nice in this sun-filled living room. That corner table and wall decor of plates is lovely too. 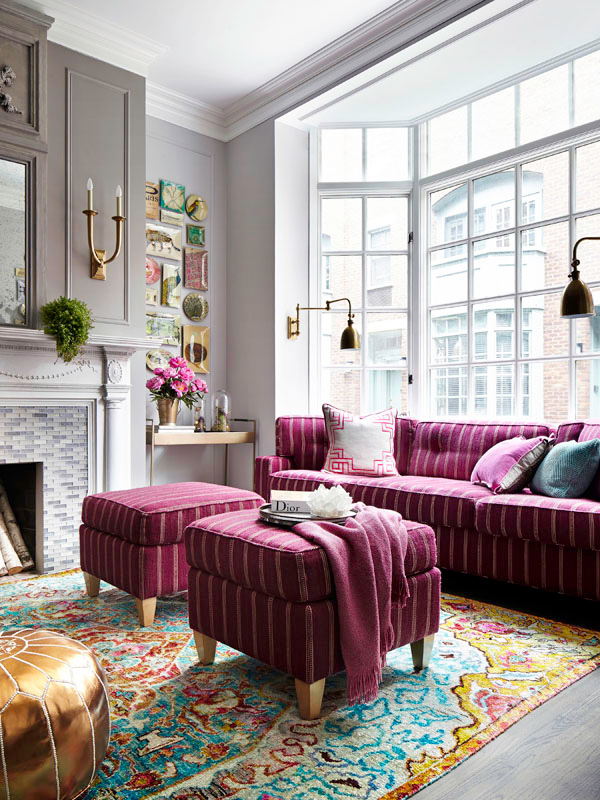 Vintage mantles, layered moldings, patterned wallpapers and colorful fabrics can all be seen in this interior. Various walls are used in the floor plan that would give it a more spacious feel. 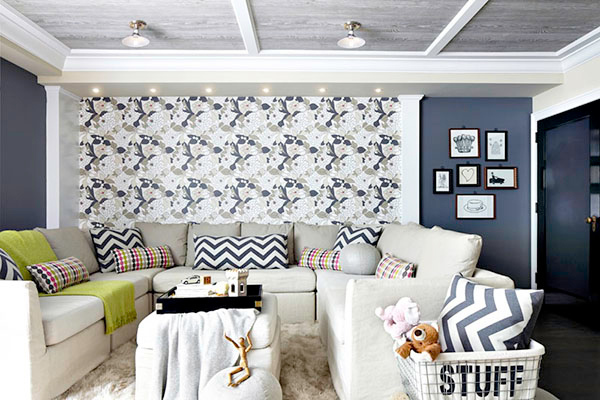 This is a pretty interesting family room that looks very comfy. 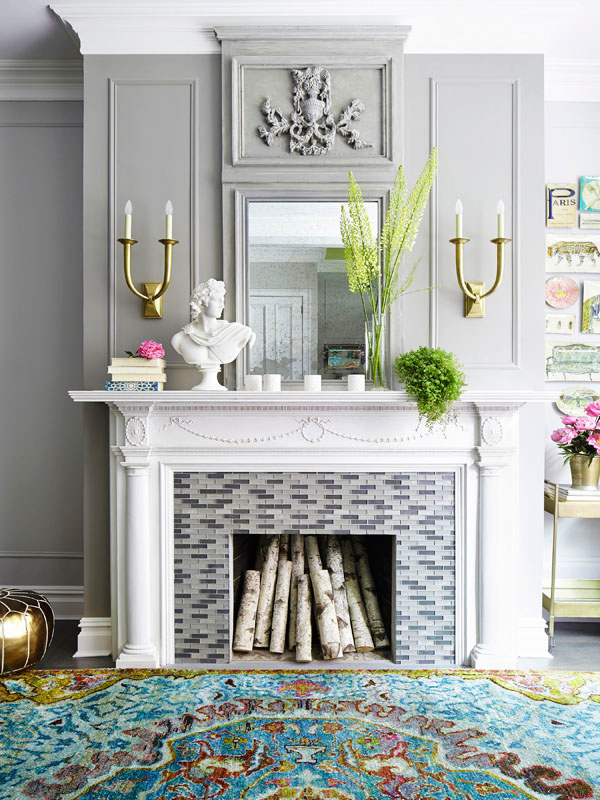 This mantle looks regal with a vintage style but the addition of the gray tiles look fab on it as well as the moldings too. A gallery with black frames and black and white photos fill the area near the staircase which is also of the same color. Instead of wasting this space, a cabinet with a desk was added to it for a work area. 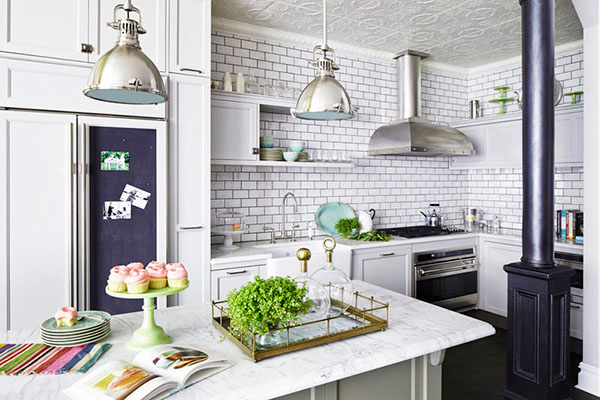 Subway tiles were used for the kitchen that looked great with the textured ceiling. I’s guess that this fireplace is for the family room in the basement. I like the framed map. Isn’t it interesting? And the toy storage is nice too with an industrial design. Isn’t this a luxurious looking master bedroom? The challenge in the area was to create a fab closet space without visually compromising the size of the room. One feature in the bedroom that I like is this wall decor that doubles as a storage for accessories. I like this bedroom with a whimsical feel! That tepee is one thing I always wanted to make. The nursery has a door bookcase that hides the passage towards the area. 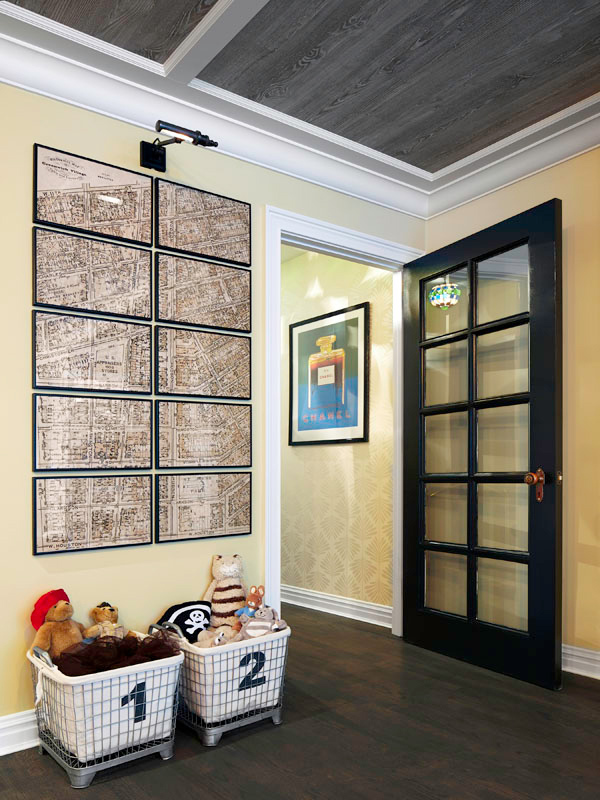 When you enter the house, you will be greeted by this small mudroom. There are three bathrooms in the house that includes this black master bath with a classic design. Meanwhile, the guest bath is a glossy tribute to old New York society. 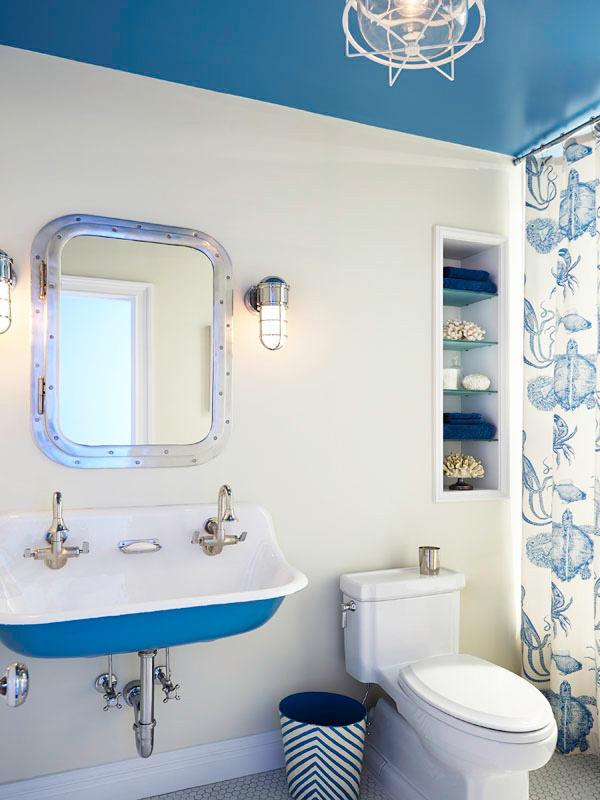 While the kids bath looks fun with a nautical chic design. After seeing the images above, I guess you would agree with me that this home certainly looks refreshing with its bright and colorful interior. I like the addition of vintage items to it as well as the pops of colorful everywhere. 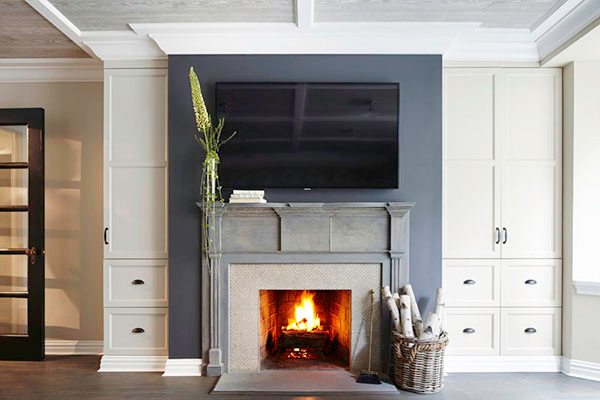 This interior by Rob Stuart Interiors is like something that doesn’t give any pressure in order to pull off the look. It is just calm and easy and has plenty of freedom too. What do you think?